Has everyone calmed down a bit now? I made the mistake of trawling through the social media channels after Sunday night’s England penalties defeat, and saw how many ‘experts’ there were out there purporting to know exactly what went wrong. The best thing about our Euro 2012 campaign was that we weren’t given a cat in hell’s chance of success. And perhaps that helped push us on to a group win and give an admittedly more technically-adept Italian side a real run for the deflated Euro. In the end, the penalties hoodoo counted, and near-misses from the two Ashleys were the difference that mattered. 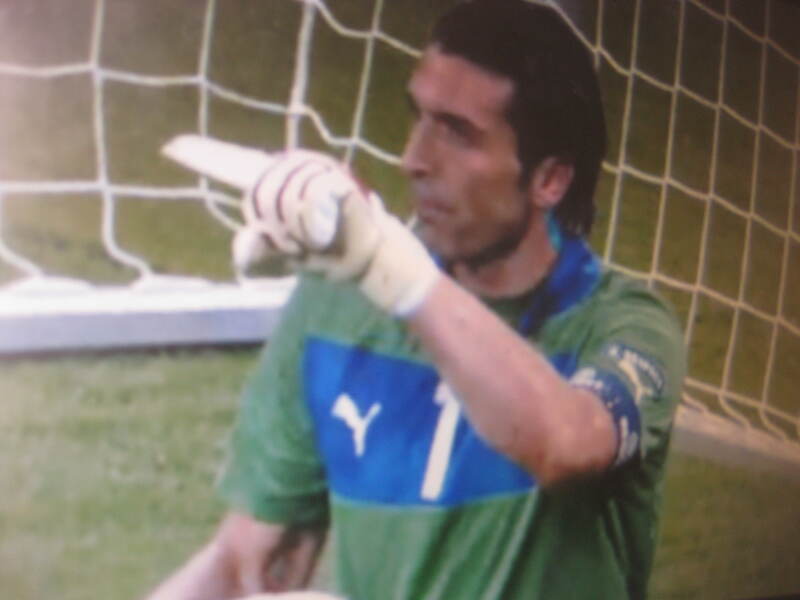 On another day, Joe Hart might just have stood there and caught that cheeky down-the-middle ‘spoon’ from Andrea Pirlo. But it wasn’t to be. So get over it. Pretty soon after that, a succession of theories as to what went wrong followed from across the broadband network, starting with the BBC’s Alan Hansen and permeating through to a succession of barstool connoisseurs of the Beautiful Game. Granted, I’d love to see a bit of flair return to the national set-up, but was that really the match to do it in? From Jimmy Greaves onwards, we’ve never really built our team around such talent – more’s the pity. And not being born until 1967, I’m a bit sketchy on what happened when Greavesie was left out of Alf Ramsey’s team the previous year. Finishing? There is that too. A few more shots on target might help too. Stop me if you think I’m being picky though. The passing could certainly be better, but at times we did seem to string a few together, and even some of the Air Force One balls directed at our pony-tailed Geordie sub were more often than not nicely controlled and laid off again. Credit where credit’s due. Actually, I’ve got an issue with the pony-tail. I’m not actually coming out here, but I have to admit my youngest daughter insisted I wore her hair extension for the big match in honour of our substitute with the girl’s name. More to the point, she tied my mock-mullet up with a bobble when he took to the field. I caught sight of it earlier and thought it was more Roberto Baggio than Andy Carroll anyway, so didn’t stand in the way of such modification. Besides, I like to think I at least had something to do with AC’s better moments on the night. The things you do for your country. At the end of the day, to be fair, in all honesty, etc etc, ad nauseum, perhaps Roy Hodgson did the best he could with the team he picked. Maybe it wasn’t the best team. Maybe it wasn’t the best squad. Maybe on another day Wayne Rooney might have been on top form and won the game single-handedly. All maybes. Nothing more than that. There could have been the odd tweak here and there, but I’d like to give Roy the benefit of the doubt that he had the right idea and knew what he was doing … sort of. A cocktail of Fabio Capello’s technical ability and Roy’s spirit seemed to be the preferred recipe from those speaking on the radio over the cornflakes on Monday. But it doesn’t always work like that. I for one was pleased to see we finally had a bit of team spirit, a certain camaraderie in the squad alongside good old English true grit. Lancashire comic Steve Royle pointed out on twitter that ‘never has the class divide been more epitomised than in Scott Parker’ with his ‘upper class hair and working class mouth’. I like that. A truly British image. And to keep the comedy theme going, I’ll go back to the bit about camaraderie and that classic line on Only Fools and Horses where Trigger thinks ‘Camaraderie’ was ‘that Italian boy’ in Slater and Del Trotter’s school football team. But that’s another story. In a post-match interview, England captain Steven Gerrard said: “I’m just in a zone of frustration and disappointment because we’ve come so close to ending that quarter-final hoodoo.” Couple that with the BBC commentator’s line about Gianluigi Buffon being in the corridor of uncertainty at one point, and you can see it’s a complex map we have to digest then memorise if we’re ever going to reach Gerrard’s promised land – the ability to compete with the might of the Spanish and German national teams. Over our four games, Terry justified his inclusion – whatever we might make of him – while Johnson, Lescott, Cole, Parker and Walcott provided the odd moment, and hopefully promising futures await Oxlade-Chamberlain and Welbeck and some of the players in the wings this time through injury or what-have-you. Much of this has probably been said somewhere since Sunday night, but there was one other important factor in our defeat that none of these so-called experts picked up on, that I can exclusively reveal here. I was playing Newmarket with some visitors and our girls the night before and lost heavily. Luckily, it was only Minstrels we were playing for, and they were pretty hot and sweaty by that time, so it was no real loss. But I noted that the diamonds were definitely holding sway over the hearts when it came to the red cards (you can probably see how this complicated mind works now, so hold on tight to that thought). And as long as I can remember, I’ve always referred to the former as ‘diamante / diamanti’, like the Spanish or Italian. No particular reason. 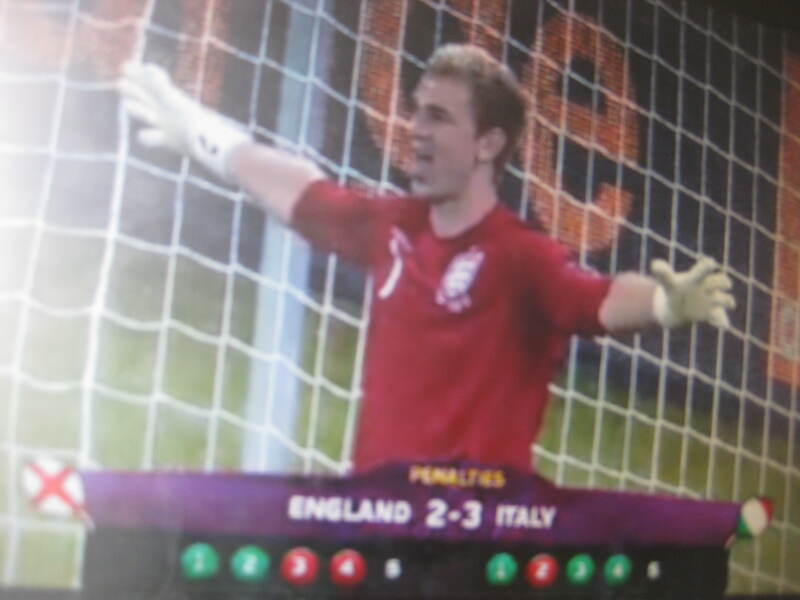 So when Alessandro Diamanti took to the field in the later stages, I had a foreboding feeling of doom – one proved right with the very last kick as the Italian sub out-witted Joe Hart in the England goal and ensured his side’s progress. 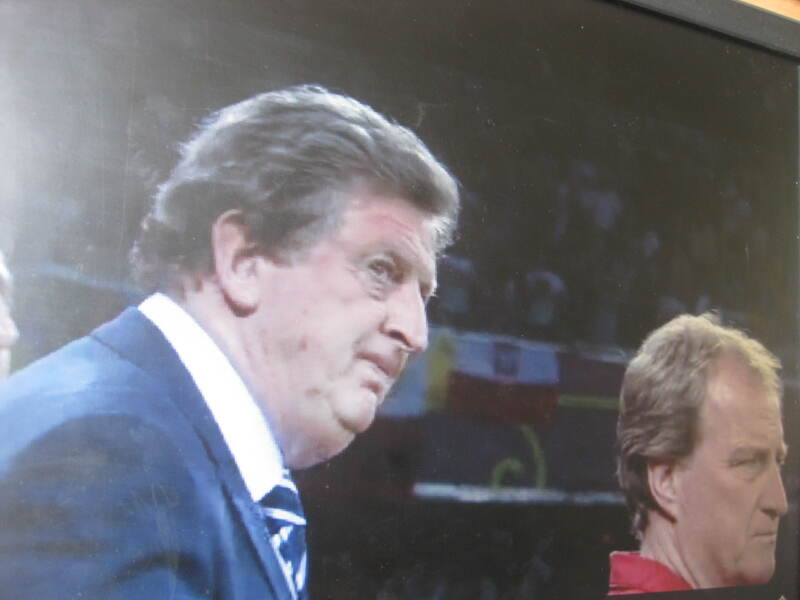 As pointed out by ‘In Roy we trust … maybe’ a few days ago, at least I can now relax and enjoy the competition at a more chilled pace now England are out. But I admit it does leave a bit of an empty feeling. First, the host nations’ swift exit, then disappointment at the Irish underdogs, now us. We have arguably the best footballing sides left in the contest now, and I think we all expect a Germany v Spain final – unless a little more magic from Pirlo or Cristiano Ronaldo can make a difference. Either way, this has been yet another international tournament that has proved a joy to watch most of the time, with the hosts playing their part too. As for us, roll on Brazil 2014. Give Roy a chance and see what he can change over these coming few months. The future is bright. The future is Roy … maybe. * Stay in touch with https://writewyattuk.wordpress.com tomorrow for the story of the Yooro 2012 table football tournament quarter-finals. This entry was posted in Football, sport and tagged england, Euro 2012, European Championships, Football, italy, sport. Bookmark the permalink.